Since finishing up “Navigation For The Future 2019”, NOAH will not be active until the 11th February when the next tour, “Navigation for The Progress” starts in Fukushima. Yoshiki Inamura will continue with his “Seven Match Series” facing Masa Kitamiya. 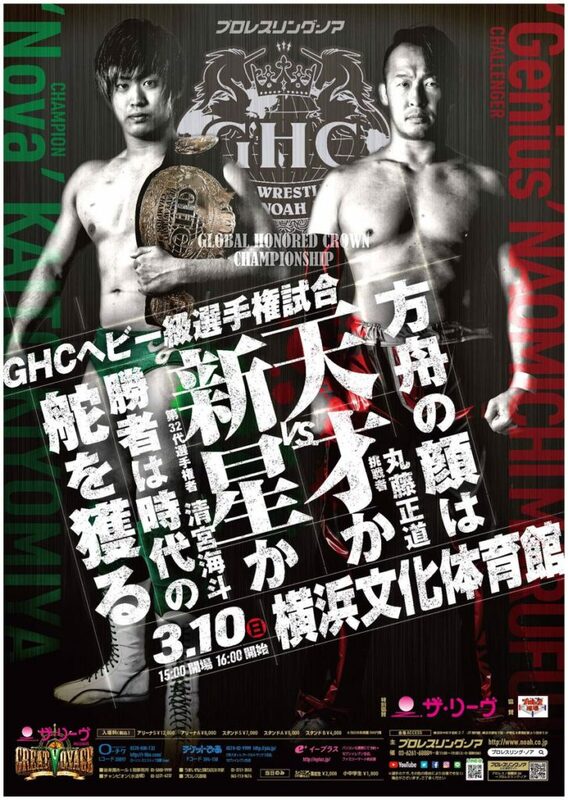 Naomichi Marufuji and Kaito Kiyomiya will be building up to the GHC Heavyweight title defense on the 10th March in Yokohama, as will Daisuke Harada and Minoru Tanaka over the GHC Junior Heavyweight. This tour will also see a rare match (twice) which will put Marufuji and Harada facing each other in the ring. Atsushi Kotoge and Eddie Edwards will challenge for the GHC Heavyweight tag tiles on the 24th March at Korakuen Hall. 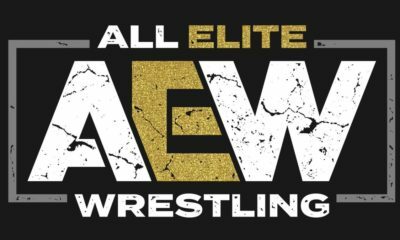 Edwards (due his schedule in IMPACT) will not be appearing in any earlier dates, and at the time of writing as NOAH have not announced the cards for the last two dates of tour (2nd or the 3rd March), so it is unknown as to whether he will be appearing on them. 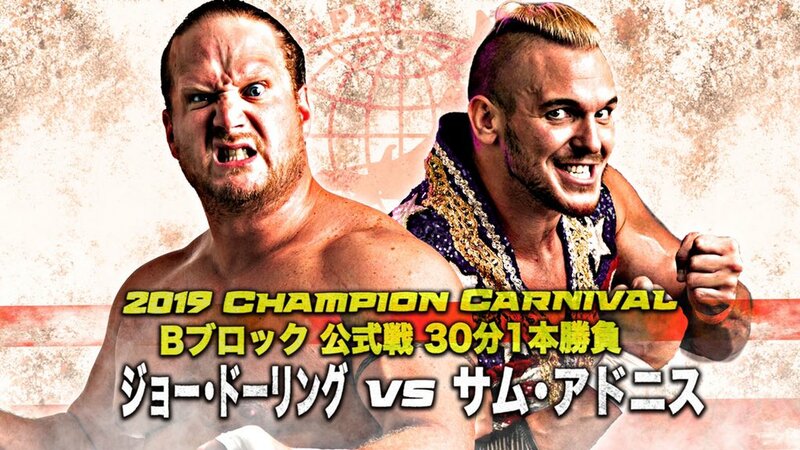 The Hooligans will face Takashi Sugiura, Masao Inoue, Akitoshi Saito, Yoshiki Inamura and Kinya Okada on the 24th February. 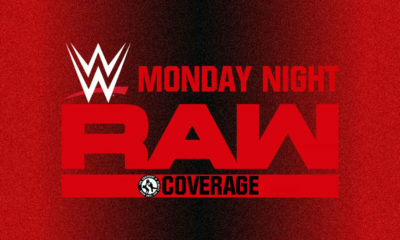 The match will be an elimination and comes with stipulations; should The Hooligans win, Sugiura enters and is their lackey, should The Hooligans lose, they have to disband. The Backbreakers will defend the GHC Junior Heavyweight tag against Kotaro Suzuki (who gets a chance to team with his “older brother”, Naomichi Marufuji, on the 22nd February) and Yoshinari Ogawa on the 24th February. This will be NOAH’s last tour using the iconic green mat outside of the Misawa memorial shows. Masa Kitamiya recently retweeted a post a fan had sent him, of the empty lot where the venue, and once the “Holy Land of NOAH” once stood. Differ Ariake started life in July 1988 not as NOAH’s home or a sports venue, but as a venue for disco and other music related events, later foreign bands would play here, and it saw a boom during the “Bubble Era” of the 1980s and early 1990s before closing and reopening as a sports venue in 2000. 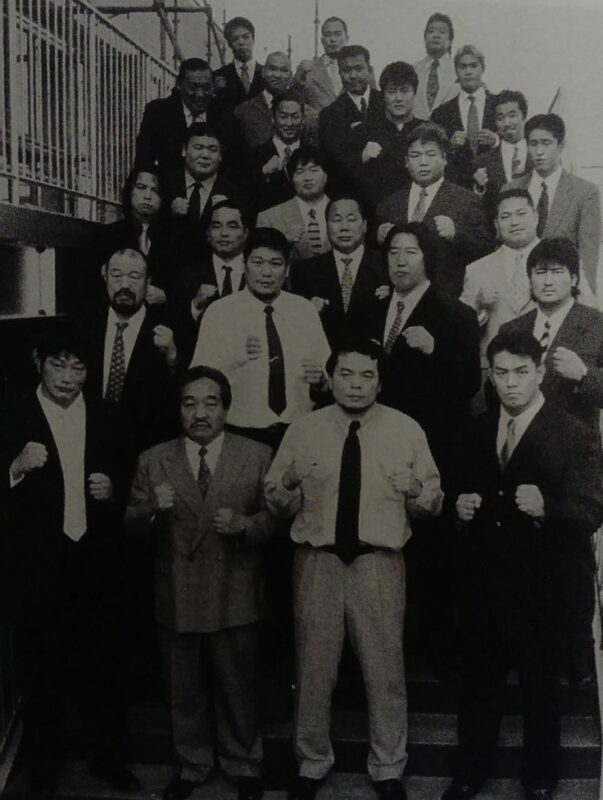 NOAH moved into the venue soon after Misawa led the exodus from All Japan, and set up their offices and dojo there (their home was not the main stadium, but rather the complex to the left of the picture, the famous staircase can be seen on the main building). Three generations (arguably from Marufuji’s to Kiyomiya’s) would grow up here until 2016 when the venue changed hands, and NOAH moved out. NOAH would return to the venue one final time in November 2017 for the last ever Differ Cup. After the event they walked sadly through a place that they once called home. Each corner, each room, each inch must have held some memory for all of them, whether good or bad. It was here in 2000 that NOAH held their inauguration event, “Departure”, which sold out in twenty minutes and for those fans who couldn’t get tickets, monitors were set up in the parking lot. Round about 6pm that evening, Misawa came out to talk to the fans who were waiting in line. 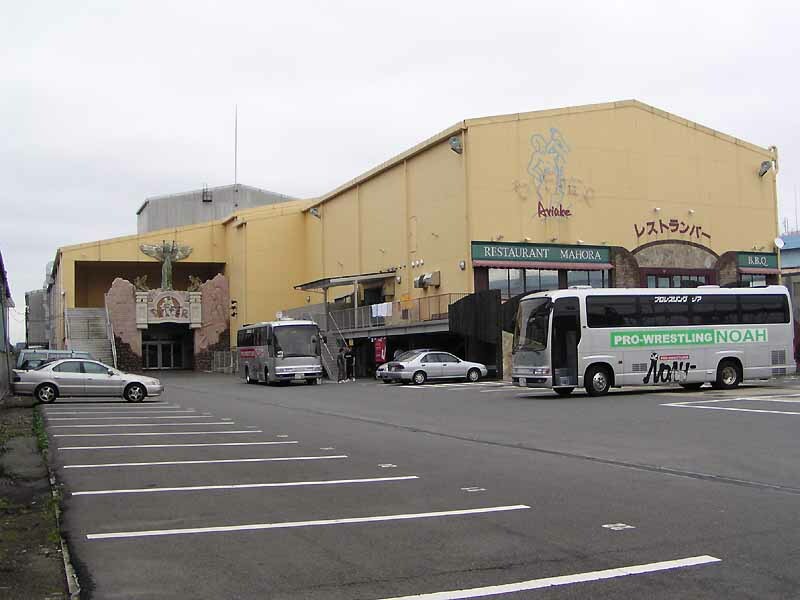 It was here that NOAH had held SEM, and filmed all their Christmas (and otherwise) specials, and in June 2009 after the tragic death of Misawa, 25,000 came to pay their respects. It is ironic that with NOAH’s new owners changing the promotion and doing away with the iconic green, changing the new logo and laying the memory of Misawa to rest, that the home of NOAH should also disappear, like a final break with the past. Differ may have now physically gone, NOAH may be changing and heading out to new and unknown waters out of Misawa’s shadow, but the picture taken of a vanished era in NOAH standing on the steps of their new home, their faces young and full of hope for the future, no matter their individual fates and that of the promotion they all turned their faces towards, will always remain part of the landscape, no matter what fills the now vacant lot filled with so many memories, emotions and history. Toshiaki Kawada held his 4th “Holy War” produce. 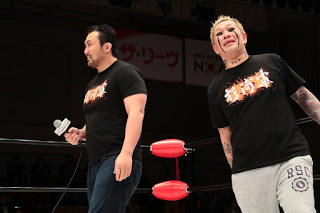 This is the first time that he has not had a “Talk Battle” with a NOAH wrestler (the others being Naomichi Marufuji, Katsuhiko Nakajima and Akira Taue). Yahoo Japan are hinting that there may be a coalition or an alliance between NOAH, All Japan and W-1. 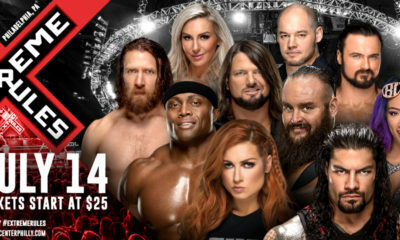 However, it looks as if NOAH’s new owners will be instituting a policy of isolation at the present time and not entering into any partnerships with other promotions, besides the ones they all ready have. 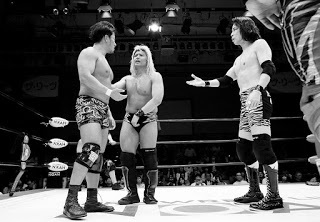 Naomichi Marufuji, however, has spoken of the importance of co-operation. 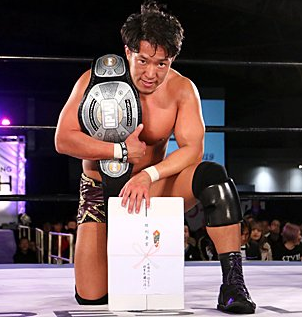 ~ Due to his injury, Naomichi Marufuji had to cancel his one day stint as the manager of “Yoneya” (Mohammed Yone’s restaurant), the rescheduled date took place recently. ~ Naomichi Marufuji commented that he doesn’t know what KENTA’S plans are, but he wants him to go somewhere where he can be himself again. Takashi Sugiura came out and basically asked him what his plans were. ~ NOAH will be holding an event called “Navigation TO A NEW ERA” on May 2nd. Further details to be announced. He’s managed to behave himself this week, no pictures of Masao Inoue at the urinal or his dog defecating. 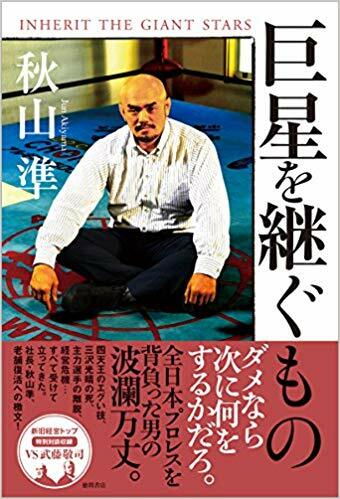 Jun Akiyama wrote a book called “Inheriting The Giant Stars” (thanks to GuyOnInternet for telling me about this); the book has been added to my shopping basket and will be purchased and then translated in due course. If you do know of any NOAH\All Japan related books, by all means, do let me know. My ambition is to one day build up a digital library translated into English for Western fans. 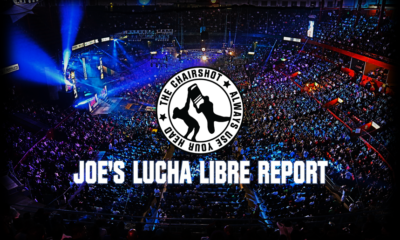 The Last Showa Born Heel: Can Masa Kitamiya be the new era Masa Saito?